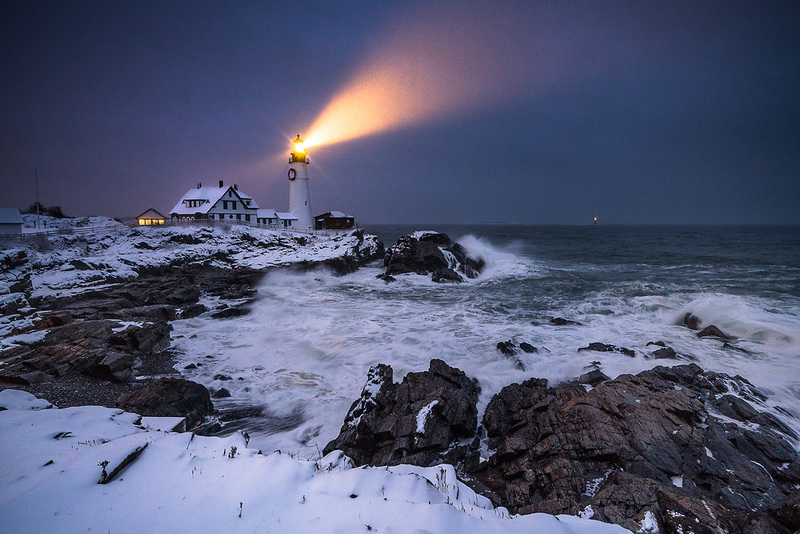 Waves batter the shoreline at one of Maine's most iconic locations, Portland Head Light. I had wanted to get an image of this place at night during a snow storm for a long time. The snow in the air caught the light of the beam, making it visible in this exposure.